Today, more and more people are making funeral arrangements in advance. Preplanning provides an opportunity to put all your affairs in order in a relaxed unhurried way. We offer complete preplanning services. While you may wish to set aside funds in advance through an irrevocable trust or burial insurance, you may also choose to simply have us record your wishes. 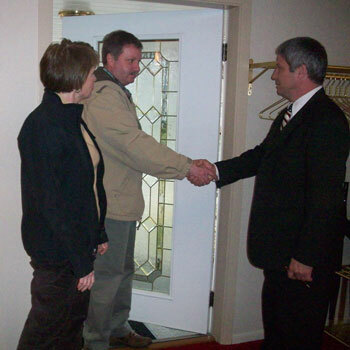 When needed, a single telephone call to our funeral home will enable us to proceed with your plans. Feel free to contact us to schedule a time to sit down and discuss all of the options available to you and your family. We have created an online pre-arrangement form. Click Below to go to it.